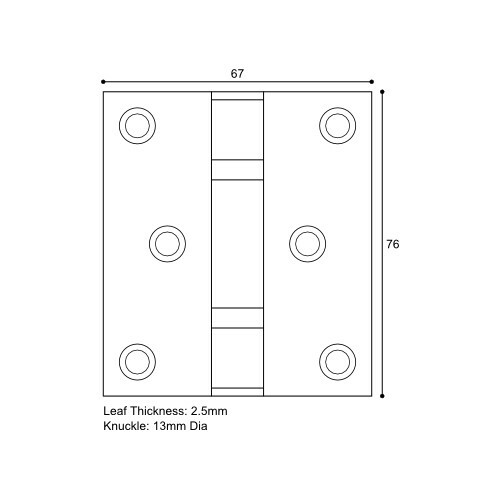 A compact but robust hinge for heavier doors up to 80kg and incorporating heavy duty ball race bearings for increased performance and resistance to wear. 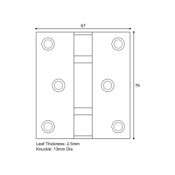 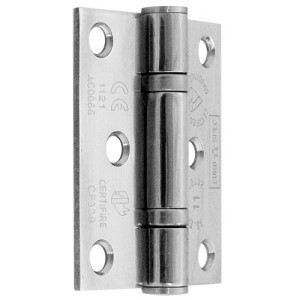 This hinge is a good choice for residential applications and for commercial or industrial settings with a medium frequency of use and is certified for use on FD30 fire rated door sets. 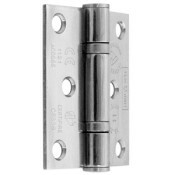 This hinge has a load capacity of 80kg based on fitting THREE hinges. Detailed advice on the selection of hinges for full height doors can be found in our [Hinge Specification Guide] Note that fire doors MUST be fitted with three or more hinges.